Today I'd like to welcome to my blog an author, Dr. Lesley Phillips, who has been kind enough to write a really great article for us on writing! Dr. Lesley Phillips is a speaker, author, workshop leader, spiritual and meditation teacher based in Vancouver BC, Canada. 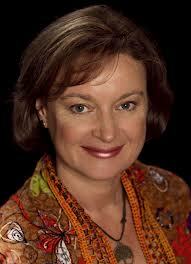 She is the author of the book “The Midas Tree,” a spiritual adventure story for children of all ages. Since writing my book, The Midas Tree, I made an interesting observation. What many writers call their imagination is what I call my intuition. I am a meditation teacher and intuitive counselor, and I use my spiritual senses on a daily basis in my work with students and clients. My process for writing is to enter a meditative state. From this vantage point I am able to see the story unfold before my eyes as though I were watching a film. I can press pause, fast forward or rewind and begin watching again whenever I like. The book outline was downloaded one sleepless night after a lengthy meditation on clearing limits The Midas Tree is my first novel. So to stimulate my creative flow and get started, I meditated on becoming a writer. The approach of connecting with my higher consciousness and releasing my creative blocks very quickly resulted in a flood of content. By morning I had met all the characters of the book and had a very good idea about the plot, chapter headings and title The Midas Tree. I absolutely loved the process because it was so effortless. I never experienced writers block and writing for me was exciting because I was writing and reading my novel at the same time. I have since read that this is the way that many writers approach their craft. For example this is how J.K. Rowling wrote Harry Potter. All the characters were pre-formed and she watched the plot unfold before her eyes without necessarily being the conscious director of their actions. In speaking with a seasoned author of YA novels, she explained that this was also the way that she wrote, but that she had always just considered this was how her imagination worked. As I am an experienced intuitive reader, from my perspective this way of writing uses clairvoyance, which is the ability to see clearly as spirit. What I mean by spirit is the unseen world, where thoughts have not yet formed into matter. It is where all material creations come from. Even though I found writing “The Midas Tree” easy, my previous writing experience had been quite different. My background is in science and business and so most of my prior exposure to writing had been very different. I have written a PhD thesis, scientific papers, as well as business and marketing plans. I knew how to research, think logically and weigh up all the pros and cons. Yet here I was by-passing my intellect completely in order to give birth to a novel. Now I am sure that the intellectual approach can work for writing a book as well. After all there must be as many ways of writing books as there are authors. I have observed that many aspiring writers do a lot of research, take classes, consult experts and join writers groups to learn the “correct” way to structure and write a novel. They decide in advance who their readers will be and they craft their work to be marketable to that audience. Obviously this approach works for many successful writers. But for me it felt too limiting because the emphasis is on getting it right and on containing yourself within a set of pre-determined ideas. I did not even know who my readers would be until I had completed the novel. Then I had to take a step back and see what I had created. I created a Spiritual Adventure Story. It turns out that The Midas Tree is a spiritual adventure novel that teaches truths about the nature of reality through an allegorical fairy tale. The hero battles with his ego on the journey through the tree, which represents the journey of enlightenment. The book also includes the meditation techniques that I teach in my classes. It is written a way that makes the information available to children and adults alike. It is my deepest wish that this book will help children to validate their intuition, as I did, and use it in the most creative and rewarding way for them. 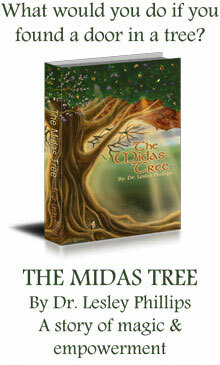 The Midas Tree is available on Amazon as a paperback or e-book. Great interview. What a gift to be able to accomplish intuitive writing. I have not yet read "The Midas Tree," but am no stranger to spiritual thriller novels- in fact I am reading "Quest for the Lost Name" by George Makris and am really loving the thrill and cliff hangers while seamlessly teaching important spiritual principles. Love this genre, and can't wait to check out "Midas Tree." Thanks Priya I hope you like it as much as I did. I plan to check out "Midas Tree" over the Christmas break- right now life is too crazy. Can't wait!